Our heliostats incorporate a unique and innovative technology. Thanks to its design form a single unit that integrates reflective mirrors with an advanced tracking technology that allows make fully autonomous tracking. The product is designed so that arrive to its destination as a single unit, greatly facilitating shipping and installation. 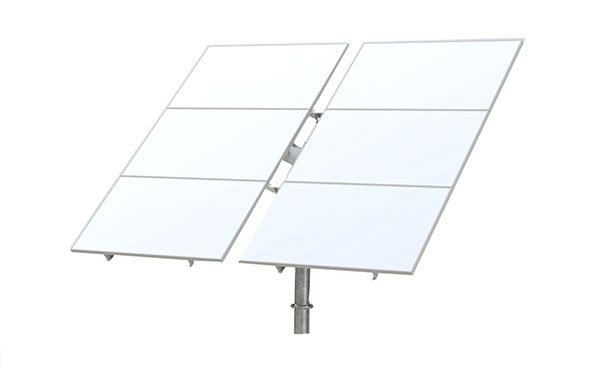 With our heliostats you will get a cutting edge technology and you will also optimize logistics and save installation and commissioning costs.